For all those who enjoy surprising in a ceremony, these caps will look perfectly. They can be staged with a Hairdresser talent... and if you want to participate in the price of Diana, the royal Ascot, Kentucky. may be crowned makes life easier. Pink version: hat made of lace covered light pink, and Central white feather trim. Its diameter is about 52 cm and the cuff is mounted on a metal headband covered with. 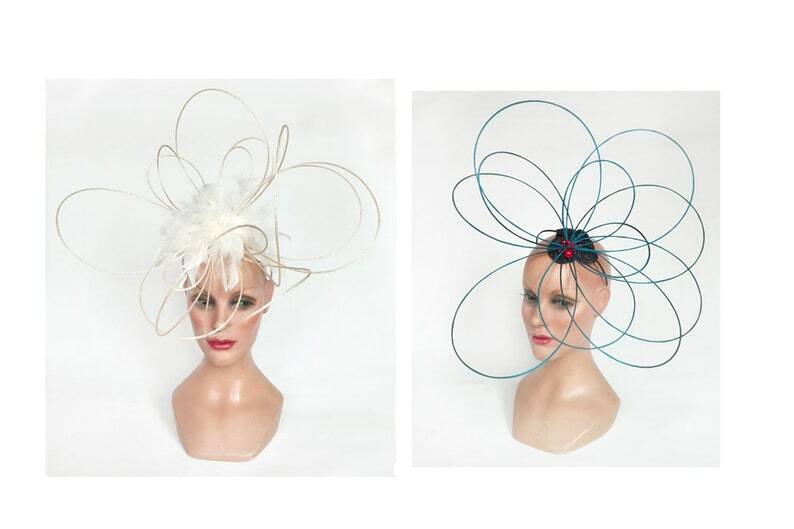 The blue version: great fascinator for a derby horse race, Ascot, whipped cream... great hat for an exceptional wedding, ceremony, pillbox hat hatinator. The cuff is made of lace, straw natural and red beads. Keeping is done by a non coated metal headband and its diameter is 45 cm / 45 cm. Unique piece and shipping is done with tracking number. Derby royal Ascot orange headpiece Fascinator wedding, woman ceremony, pillbox hat hatinator cocktail hat.